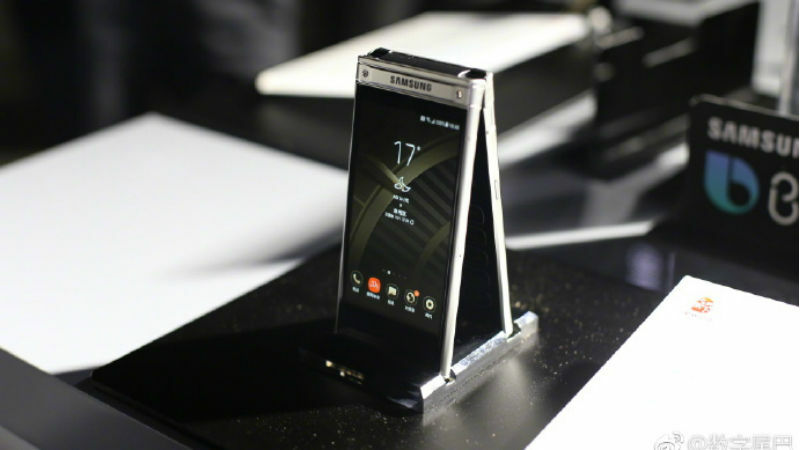 Samsung has announced the W2018 as its new high-end Android flip phone in China. The South Korean company has partnered with China Telecom to launch the new smartphone on its 25th anniversary in the country. The new smartphone is the successor to the W2017 that was unveiled last year with a dual-display setup and a fingerprint scanner. As showcased at an event in Xiamen, China last week, reported by Chinese news agency Sina, the Samsung W2018 features two 4.2-inch AMOLED display panels with full-HD (1080x1920 pixels) resolution. The smartphone is powered by a Qualcomm Snapdragon 835 SoC, paired with Adreno 540 GPU and 6GB of RAM. Further, Samsung has provided 64GB and 256GB storage options along with microSD card support (up to 256GB). The handset runs Android 7.1.1 Nougat operating system with a proprietary skin on top and offers Bixby virtual assistant support in Chinese. The Samsung W2018 sports a 12-megapixel camera sensor on the back with a largest, f/1.5 aperture lens - the largest seen yet on a smartphone camera. There is also optical image stabilisation (OIS) support to reduce blurs even when the shots are captured with some jerks or shakes. Moreover, the handset has a 5-megapixel camera sensor on the front with f/1.9 lens. The back camera sensor also supports 4K video recording, while the front sensor has full-HD (1080p) support. Samsung has opted for a hybrid dual-SIM configuration on the W2018 with two Nano-SIM card options and a microSD card slot. The smartphone packs a 2300mAh battery and includes a fingerprint scanner as well as a heart rate sensor. In terms of connectivity, there is 4G LTE, Wi-Fi 802.11ac, Bluetooth v4.2, GPS/GLONASS, NFC, and USB Type-C. The Samsung W2018 comes with a 3D glass and metal design and has been made available in Gold and Silver colour options. Price and availability details about the Samsung W2018 are yet to be announced. 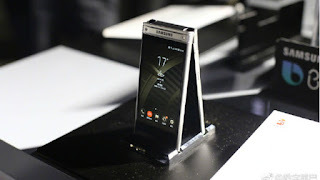 However, considering the previous models (including the W2017 and W2016), the new smartphone is expected to come with a premium price tag and be exclusive to the Chinese market.